Tried shooting this today and somehow, it does not look green at all to me. But it certainly looks platinum. 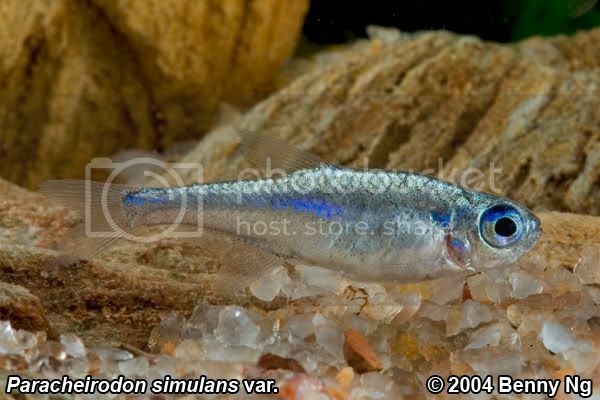 Is the common name for this the false neon tetra or green tetra? Not quite sure about that KF. 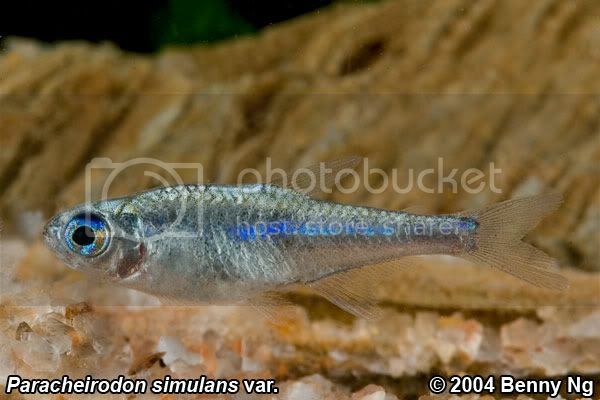 But I do know that it's call the green neon tetra. From a certain angle it certainly has a greenish neon strip. As usual, the photography is par excellence. Can it go into my new tank? I want to collect new/rarer tetras in there too! 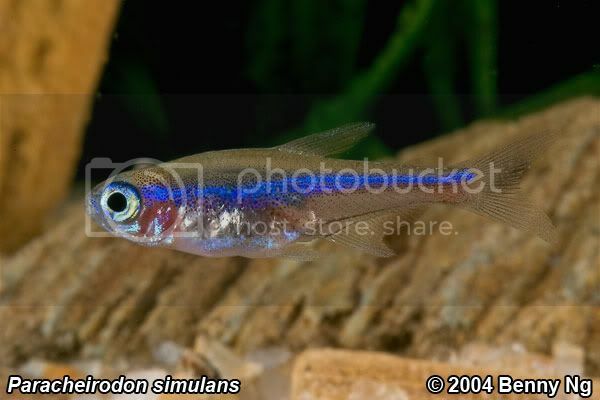 looks like blue striped tetra. Another beauty that i never seen before! 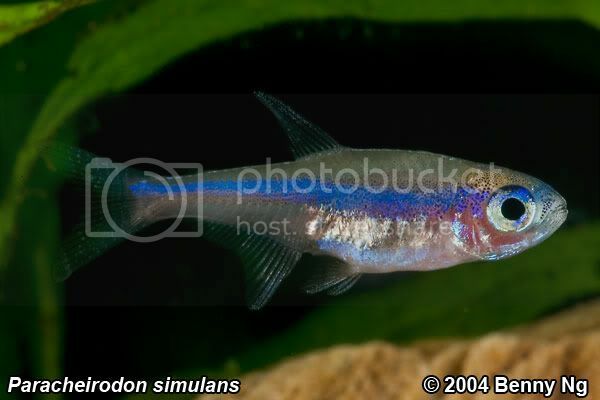 It seems that S'pore is the best place to see corydoras &amp; tetra. my green neon has shown red portion below the tail area. does it grow out of it as they become bigger/older? or is there some other ways to fade away the red portion.... i am feeding only frozen blood worms. All times are GMT +8. The time now is 15:17.